A beautiful backdrop makes for beautiful pictures and as we all know, pictures are for a lifetime. Especially wedding pictures! Why not amp up your wedding venue and lend it that special touch which will make it the most talked about wedding in town! Wedding decorations include many elements and each one needs to be just right for it to come together beautifully. Be it minimalistic or over the top – flower arrangement is one such element which can make or break the wedding decor. Flowers can be used in innumerable ways – you can go all floral or you can lend finishing touches with beautiful elements – the choices are endless. We bring to you a list of the top flower decorators in Mumbai who can weave magic into your wedding decor with lilies, orchids and other flowers of your choice. These talented artists (well, with the kind of venues they set up, they are nothing short of artists if not magicians) can choose wedding flowers that complement your theme or colour scheme and seamlessly weave them into it. With over 30 years of experience in the industry, Shyam Flower Decorators have the much needed expertise for a creating a stunning wedding decor. From mandap to bouquets, thesecreative flower decorators in Mumbai can do it all and how! 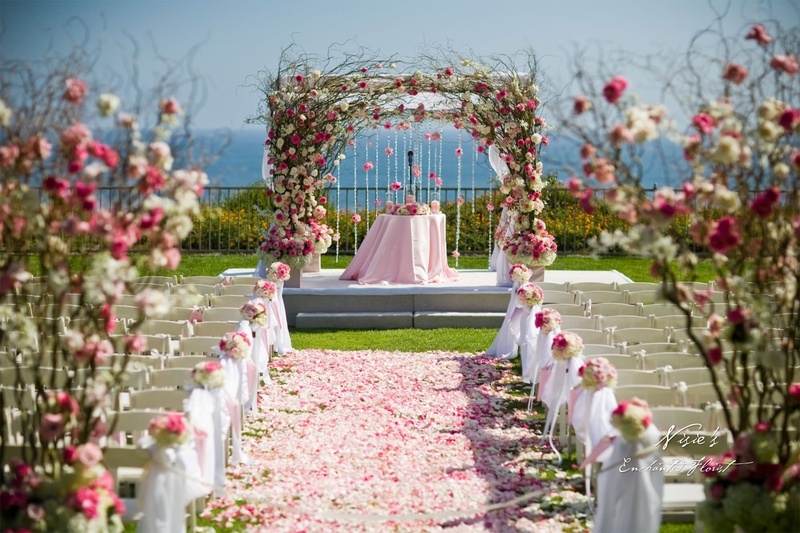 They can use an assortment of wedding flowers like marigold, orchid, roses and others to set up the wedding venue. You can also coordinate with them to make sure that the decor complements your theme or colour scheme and be prepared to behold a mesmerizing sight! GautamEvents has been around for 20 years and offers gorgeous wedding decorations among other essentials. They keep up with the modern decor ideas and themes and integrate them with the traditional ones. Gautam Events with all their arrangements are known for bringing the naach-gaanato life into a wedding party. Bands, horses, doliand dholare some of their other services. For booking enquires, click here. Founded by Mr. Ramdas Ingawle, Shubham Decorators are expert flower decorators in Mumbai, who also specialize in wedding management. From planning to execution – they do it all. Their all-encompassing team is efficient at wedding planning, wedding decoration, party organization, catering and other essentials. Having organized weddings of all kinds for over 20 years, the experts know which floral arrangement complements which venue and wedding. With their expertise and finesse, you don’t have to worry about a single thing on your big day. Floral Art founded by Mrs.Kavita Kapur was a small venture which was born in 2002. She began her journey with a keen interest in packing and presenting things to her family and friends in attractive avatars. Her 3rd master’s degree from Ohara School of Ikebana – the Japanese art form of floral arrangements, added to her experience and knowledge that highly supported her in becoming one of the most sought-after flower decorators in Mumbai for weddings. Her daughter, Srishti, also has five degrees from Sogetsu School of Ikebana (modern school of Ikebana) and takes a keen interest in the family business. They lend their expertise to gift trays, mandap, parties and alliedwedding decoration areas making these truly picture perfect. Ambrosia that is a brainchild of Mrs.Shailaja Guptawas a venture with a vision to spread the charm and beauty of fresh flowers. Mrs Gupta, who is also an expert in the Ikebana art of styling flowers, nurtured the organization, which today is a top ranked flower decorator in Mumbai for weddings, corporate parties, anniversaries, wedding planning and other necessities and social events. With a sole mission to create charming memories – the team puts in its best effort into an event and sets up a mandap or venue that is awe inspiring.